She is a member of music world royalty. 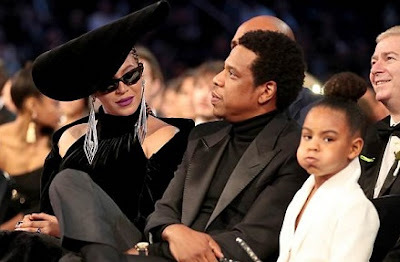 So it is little surprise Beyonce and Jay Z's six-year-old daughter Blue Ivy enjoys the spoils of her famous family as it has been revealed she is assisted in all her style needs by her own personal shopper and stylist. Manuel has been working for Beyonce's Parkwood Entertainment since 2009 and the 36-year-old star's representative confirmed the news. Speaking to Women's Wear Daily, it was revealed that the employee - who is also a personal assistant to the Formation hitmaker - is tasked with being Blue Ivy's stylist and personal shopper. Some of the outfits he has crafted for the youngster include the custom white Valery Kovalska tuxedo pantsuit she wore to this year's Grammy Awards and the Billie Blush dress she wore in her 48-year-old father's 'Family Feud' video.